There must not be a lot of news out there these days since the Obama dog selection speculation keeps everyone writing. 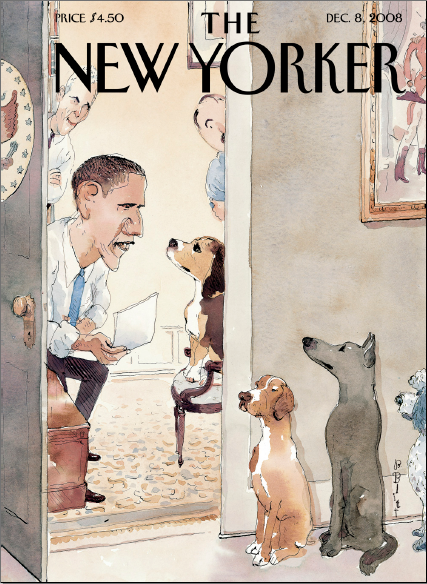 The cover at the right is from the New Yorker which has also indulged in Obama Dog Discussions. The buzz started when the Obamas mentioned that the girls would be getting a new pup and has been a constant source of discussion out on the blogsphere ever since. It isn’t certain whether the family will be getting a mutt as first mentioned since recent announcements state that the family has narrowed down the choice to a Portuguese Water Dog or a Labradoodle. The family’s main concern, and rightly so, is that Malia suffers from allergies. 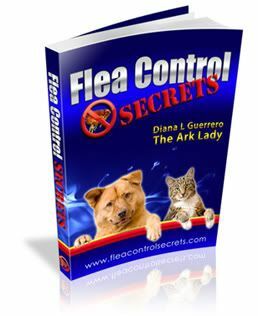 Keeping a pet for life is critical–just as keeping her healthy is critical. Whatever the choice it will set an important example. Now contrary to belief, there isn’t a truly hypoallergenic pet so the family is going to have to be ready to expose the kids to the dogs prior to adoption (or purchase) and then take steps to mitigate any allergens. Terrierman has been ranting about irresponsible breeding for some time and discusses his opinion on the Portuguese Water Dog but I don’t find mention of the Labradoodle…however I already did the rant on designer dogs that are simply a part of mutt marketing…we used to call them mutts or “accidental” breeding. Like it or not, people are so happy to give their opinion on this presidential pet issue. This decision should be a personal choice for the family as I see it. No matter what the Obama family finally decides–shelter dog or bred dog–it is going to be in the news just like Joe Biden’s selection of a German Shepherd pup. Ultimately, I trust they will make a great choice–but I bet the pup will have a web cam–to keep us all amused and blogging on the topic. labradoodle? really? did not know labradoodles were hypoallergenic, but thinking about it, with the poodle mix, they very well could be fine. It might be a good choice but no animal is really hypoallergenic. Didn’t find the website link very useful but thanks for calling my attention to it.